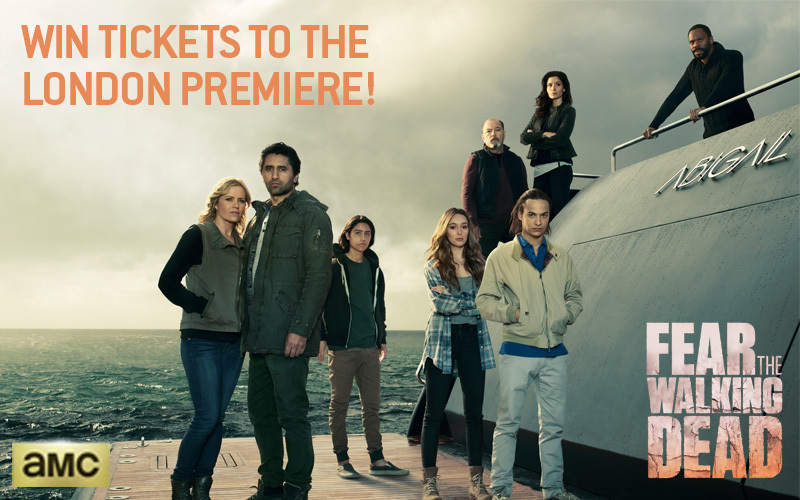 WIN 2 tickets to the London premiere of Fear the Walking Dead: Season 2! Want to WIN 2 tickets to the Season 2 premiere of Fear the Walking Dead in London next Friday?? The highly-anticipated return of Fear the Walking Dead is just around the corner, and you could be one of the first people to see the Season 2 premiere. The new season arrives on AMC on Monday 11th April, but we’re giving you the chance to go to the exclusive first screening in London on Friday 8th April. Just follow our Twitter page @FearTWD_UK, and retweet the competition tweet below and it could be you! Good luck!